Canada participated in FIFA World Cup Qualifiers in 2000. From 34 teams in CONCACAF, only three teams qualified for the 2002 FIFA World Cup in Korea and Japan: Costa Rica, Mexico and USA. In FIFA World Cup Qualifiers in 2000, Canada first won a two-match preliminary round against Cuba. Canada then posted one win, two draws and three losses and did not advance beyond the semi-final group stage. Before FIFA World Cup Qualifiers in June, Canada won the 2000 CONCACAF Gold Cup in February. Canada's Craig Forrest won Most Valuable Player honours of the tournament. By winning CONCACAF, Canada qualified for the FIFA Confederations Cup Korea/Japan 2001. In three matches at Korea/Japan 2001, Canada lost 0:3 to Japan, posted a 0:0 draw with Brazil, and lost 0:2 to Cameroon. Canada finished seventh out of eight countries at the FIFA Confederations Cup. 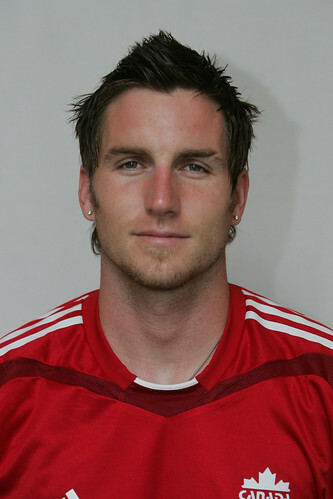 CONCACAF champion Jim Brennan was a tournament All-Star at the FIFA Confederations Cup Korea/Japan 2001. In all, he participated in three cycles of FIFA World Cup Qualifiers and three editions of the CONCACAF Gold Cup. After a professional career in England, he came home to play for MLS expansion club Toronto FC. In 2009, he helped Toronto win the Voyageurs Cup. 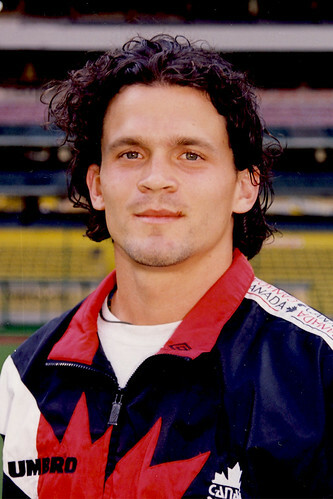 Carlo Corazzin became a CONCACAF champion in 2000, the same year he led all tournament scorers with four goals. In all, he participated in three editions of the CONCACAF Gold Cup and four cycles of FIFA World Cup Qualifiers. He also played in the FIFA Confederations Cup Korea/Japan 2001. In 2012, he became an honoured member of The Soccer Hall of Fame. 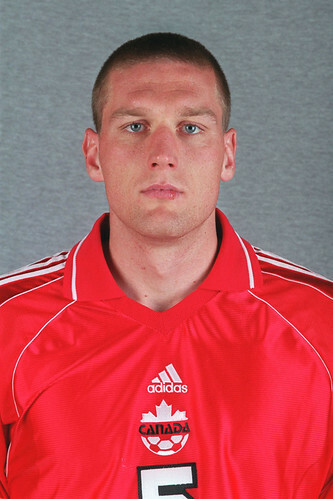 Nick Dasovic represented Canada in three cycles of FIFA World Cup Qualifiers in the 1990s. A two-time runner-up in voting for Canada’s Player of the Year (1994 and 1998), he played his professional soccer in Canada, Croatia, France, USA, Sweden and Scotland. He became an honoured member of The Soccer Hall of Fame in 2011. CONCACAF champion Dwayne De Rosario is a four-time Canadian Player of the Year. He is also Canada’s co-leader in career goals at the international “A” level. He also represented Canada at one FIFA Confederations Cup. At the professional level, he is a four-time MLS Cup champion and two-time Voyageurs Cup champion. He won MLS MVP honours in 2011. Captain Jason de Vos became a CONCACAF champion in 2000 after helping Canada win the CONCACAF Gold Cup. In all, he participated in three editions of the CONCACAF Gold Cup, three cycles of the FIFA World Cup Qualifiers, and one edition of the FIFA Confederations Cup Korea/Japan 2001. He also represented Canada at the Pan American Games. 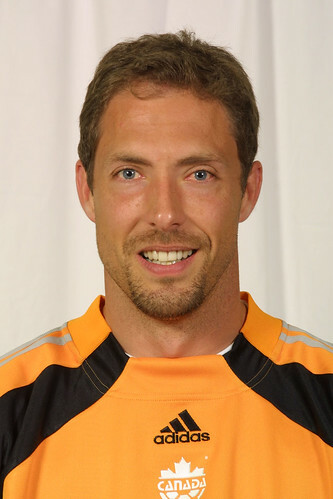 CONCACAF champion Craig Forrest was the Most Valuable Player and Best Goalkeeper at the 2000 CONCACAF Gold Cup. The first Canadian to play in the newly organized English Premier League in 1992, he was later Canada’s Player of the Year in 1994. He became an honoured member of The Soccer Hall of Fame in 2007. 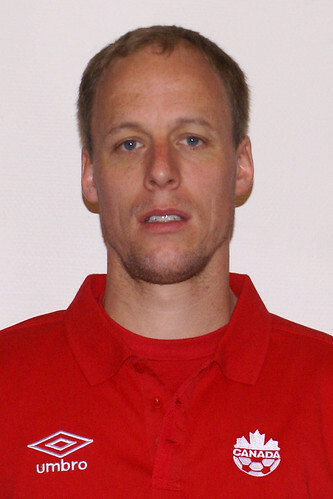 Kevin McKenna represented Canada at the FIFA Confederations Cup Korea/Japan 2001. He has also participated in four cycles of FIFA World Cup Qualifiers and five editions of the CONCACAF Gold Cup. He has scored 11 goals at the international level, including three at the 2002 CONCACAF Gold Cup. He has played professional soccer in Scotland and Germany. 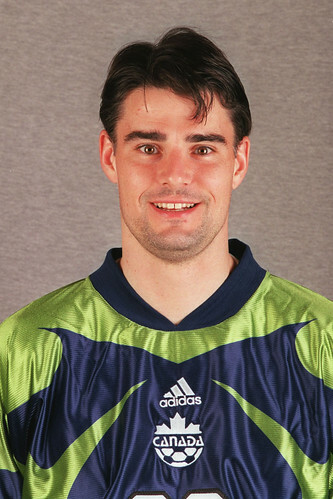 CONCACAF champion Pat Onstad had an international career that spanned 23 years from 1988 to 2010. He participated in a national record six cycles of FIFA World Cup Qualifiers, as well as one edition of the FIFA Confederations Cup. At the club level, he won the Challenge Trophy with Vancouver Westside and the MLS Cup with San Jose Earthquakes and Houston Dynamo. 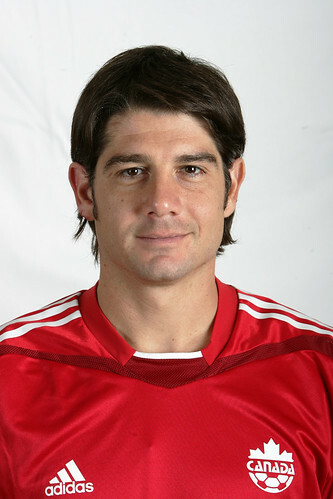 CONCACAF champion Paul Peschisolido helped Canada qualify for the FIFA Confederations Cup Korea/Japan 2001. He participated in four editions of FIFA World Cup Qualifiers and two editions of the CONCACAF Gold Cup. 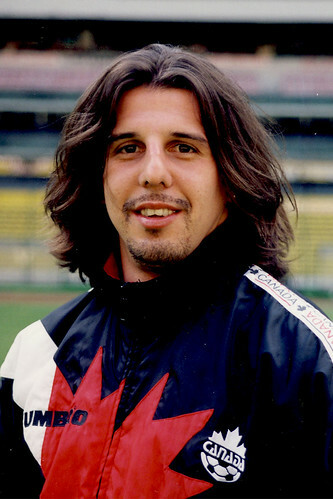 He co-led Canada in goals scored in both 1995 and 1996; after finishing a runner up in 1995, he won Canadian Player of the Year honours in 1996. CONCACAF champion Paul Stalteri set a national record by making 84 appearances at the international “A” level. He participated in three editions of FIFA World Cup Qualifiers as well as five editions of the CONCACAF Gold Cup. At the club level, he helped Werder Bremen win a Bundesliga title. In 2005, he was runner-up in voting for Canadian Player of the Year honours. CONCACAF champion Mark Watson represented Canada in four cycles of FIFA World Cup Qualifiers. After helping Canada win the 2000 CONCACAF Gold Cup, he participated in the FIFA Confederations Cup Korea/Japan 2001. Four times in the 1990s he led Canada in minutes played. In 2012, he became an honoured member of The Soccer Hall of Fame.